These healthy watermelon pops are quick and easy to make and will not break the bank (or your diet!) on Valentine’s Day! See the recipe for Watermelon Popsicles (this is the adult version) here. It is a great way to use up all those watermelon leftovers! Whether you are using white or red-fleshed dragon fruit, the addition of this exotic superfood to your fruit salad will take it to a whole new level! These popsicles are quick and easy to prepare and the level of sweetness can be adjusted to your taste. This fuchsia-coloured smoothie will definitely brighten up your day! Coulis is the French word for “strained liquid” and refers to a thick sauce made from puréed and strained vegetables or fruits. Coulis can be sweet or savory, depending on what it is meant to accompany. The base of coulis is a fruit or vegetable. Fruits are generally used uncooked, while vegetables may be roasted, blackened, or simmered so that they soften. 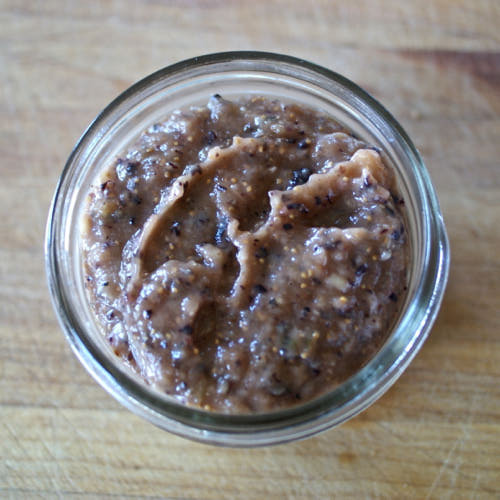 The base is pureed so that it is creamy and smooth, and then it is usually seasoned. After seasoning, the coulis may be strained to remove things like seeds or chunks of skin. The sauce may be artfully drizzled on a plate, or pooled next to the food. When fresh fruits are abundant, turn them into sauces. Do not add too much sugar or water at the onset of cooking. Add sugar at the end as necessary for the type and acidity of the fruit used. The moisture in the fruit will create a sauce when cooked. Wash and prepare the fruit as is appropriate and cut up before making the sauce. 500 g fresh, prepared fruit, e.g. strawberries, blueberries, mulberries, raspberries, etc. a few drops of lemon juice, sherry or liqueur as preferred. Place the fruit, cornflour, water and preferred flavouring into a saucepan and bring to boil while stirring. Simmer until tender and add sugar to taste. Serve the sauce chunky as is or turn into a smooth or ultra smooth sauce by blending the sauce in a food processor until smooth. The sauce can also be strained through a sieve. Cool quickly and keep refrigerated for up to 1 week. The sauce freezes very well. Makes ± 500 ml sauce. 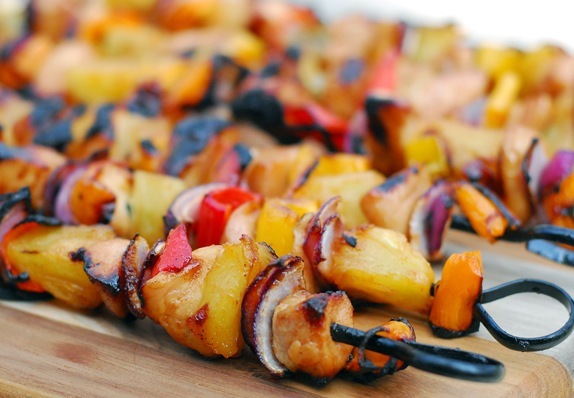 These colourful sosaties can be prepared in advance and can be served as a starter or main course at a braai. Combine the ingredients for the marinade in a mixing bowl and set it aside. Cut each chicken breast into bite-sized pieces. Transfer the chicken pieces to the bowl with the marinade, cover and refrigerate for 4 to 8 hours. Combine the ingredients for the grilling sauce in a small saucepan and bring the mixture to a boil over medium high heat. Once it starts to boil, turn the heat down and simmer for 4 to 6 minutes. Remove from the heat and set aside. Soak the sosatie sticks for at least 30 minutes before using. Or use metal skewers instead. Cut the sweet pepper into bite-sized chunks and the onion into wedges. Thread the ingredients onto 6 or 8 sosatie sticks, leaving about 4 cm at the blunt end of the sosatie stick to make holding easy. Transfer the sosaties to a airtight container and brush each sosatie with the grilling sauce. Lightly oil the grill grates and place the sosaties on the grill. Cook over medium-high heat, turning and brushing with pineapple grilling sauce often, for 12 to 15 minutes, until chicken is fully cooked. Pineapple grilled on a braai is one of my all-time favourite desserts. Using coconut sugar gives it an extra tropical taste. Coconut sugar, also know as coconut palm sugar, tastes like caramel flavoured sugar, not like coconut! It is produced from the sap of cut flower buds of the coconut palm. The Glycemic Index of coconut sugar is 35 and is therefore considered to be healthier than refined white sugar that has a GI of 60 and brown sugar that has a GI of 64. It can be used as a 1:1 sugar substitute for coffee, tea, baking and cooking. Coconut sugar has a high mineral content, being a rich source of potassium, magnesium, zinc and iron. It also contains Vit B1, B2, B3 and B6. Preheat your braai to a medium-high heat. Combine the sugar, cinnamon and a few drops water in a mixing bowl and brush it onto the pineapple pieces. When you are ready to braai the pineapple, lightly oil the surface of the grill. Braai the pineapple for approximately 15 minutes, searing all sides. Serve on it’s own, or with cream or ice cream. Substitute the pineapple for peaches that has been pitted and halved for an equally delicious dessert (see photo below). Be sure to double this recipe so that there is leftover to have as breakfast with toasted almonds and thick greek yoghurt! Be sure to read my post “In season: Figs” for the health benefits and good accompaniments for figs. 250 g Mascarpone cheese or Crème fraîche or vanilla ice-cream. Preheat the oven to 180 ° C .
Cut the figs in half and pack them close together in a shallow ovenproof dish. Drizzle with the honey and brandy or rum and sprinkle each fig with a generous pinch of cinnamon. Bake for 20 minutes, or until softened. Check the figs after 10 minutes, as they may differ in ripeness slightly and require different cooking times. Serve warm or at room temperature with Mascarpone cheese, Crème fraîche or vanilla ice-cream. This unusual fruit sauce can be served as an accompaniment to a variety of meats or combined with a light olive oil to make a salad dressing. Be sure to read my post In season: Figs for the health benefits and good accompaniments for figs. Combine ingredients in a medium saucepan and cook until the desired consistency. Serve with pork, chicken, duck, or turkey. Also see the recipe for Home-made Fruit Coulis. This recipe is a real crowd pleaser and will have the compliments rolling in! Be sure to read my post “In season: Figs” for the health benefits and good accompaniments for figs. Mascarpone cheese, Crème fraîche or vanilla ice-cream. Start with the filling. Remove the stems from figs and slice 0.5 cm thick. Heat the butter in a large saucepan and add 50 ml of the sugar. Cook over a medium-low heat while stirring. Add the figs and heat through. Set aside. Take the pastry from the packaging and unroll it carefully on a Wizbake baking sheet sprinkled with a little flour. Use a rolling pin and roll the pastry out to an even thickness. 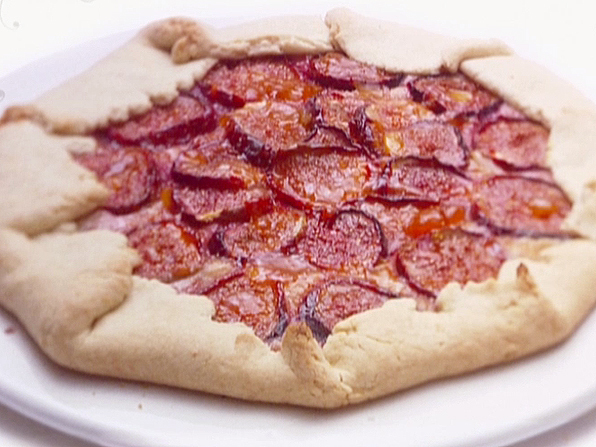 Take a dinner plate and invert it onto the pastry. Use a table knife and cut around the plate to get a circle of pastry. Place the leftover pastry in a ziplock back and freeze or cut shapes out with a cookie cutter and bake with the pie. Pre-heat the oven to 180 ° C .
Transfer the Wizbake sheet to a baking tray and arrange the fig slices on the pastry, leaving a 2 cm border around the edge of the pastry. Sprinkle the remaining sugar over the fruit. Crimp the edges of the pastry up and over the filling, creating a border. Brush the crust with the beaten egg and sprinkle with the sugar. Adapted from a recipe by Giada De Laurentiis. This is one of my all-time favourite ways to eat figs. And it is so quick and easy to do! Be sure to read my post “In season: Figs” for the health benefits and good accompaniments for figs. Place the oven rack about 10 cm away from the top element and pre-heat the grill. Toast the almonds in a single layer in a medium saucepan until light golden. Be careful not to burn them! Grease an ovenproof dish big enough to take the figs in a single layer. Use a sharp knife and score the tops of each fig with an “X”, about 2 cm deep. Stuff each fig with a small chunk of the cheese. 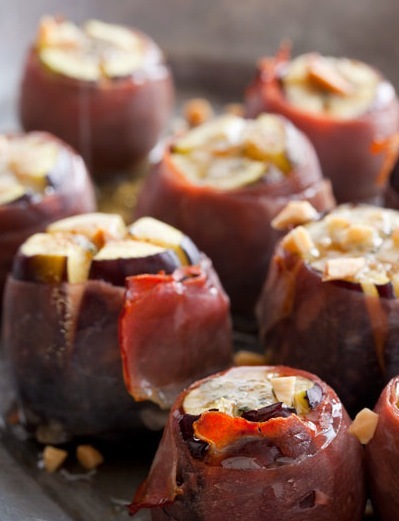 Neatly wrap each fig with a piece of prosciutto. Place the dressed figs onto the ovenproof dish and grill for about 3 to 5 minutes, just until the cheese begins to melt and the prosciutto starts to crisp up. Remove the figs from the oven and allow to cool, about 5 minutes. Drizzle honey over the figs and finish with a sprinkle of almonds. You can use Parma ham or Serrano ham instead of the Prosciutto.